Summer's here and will be gone before you know it. 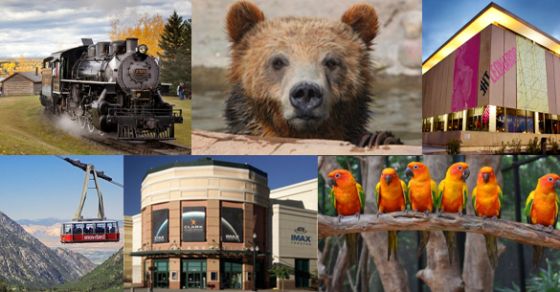 Keep the kids busy this summer with Summer Camps, Museums, Movies, Bowling. Cooking Classes and more. 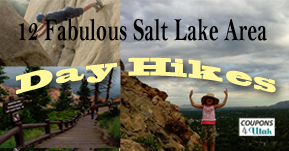 Utah has so many great summer programs, activities and summer classes and camps. Here's a list of some summer activities for kids that we favor. Where do you like hanging out for your kids in the summer? FREE Activities for kids in the Summer! Free Fishing Day - June 9, 2018 there is no license required to fish. Barnes and Noble - Kids read at least 8 books and record them in the Barnes & Noble Journal will earn a free book. Summer Reading Bees Ticket - Kids can read their way to earn free Bees baseball ticket. Pottery Barn - Various summer activities for kids, including weekly storytime. Splash Pads - Cool off with this comprehensive list of 60+ Utah Splash Pads in Utah. Movies in the Park - List of free Movies at various parks in Utah. Home Depot - Free workshop projects for kids. Registration required. LEGO Store - Free LEGO building project for kids on the first Tuesday of every month. Pre-registration is required. Geo-Caching - Use the free Geo-Caching app. to find secret hidden boxes. Log in and leave something special in the box. Wheeler Farm - Fun place to learn about farm animals. There is no admission fee to enter. But, there are fees for activities such as wagon rides, milking the cow and other special events. Liberty Park - The park has trails, playgrounds, a pond, paddle boat rentals, amusement rides and a great place for water play area. Take a picnic and enjoy the day on the cheap. Murray City Park - Summer Children Matinee Series, Free children matinees are held every Thursday at 2:00 p.m. in Murray Park Pavilion #5. Kids movies in the theater - Discounted admission passes for Megaplex, Cinemark and other theaters around the state. 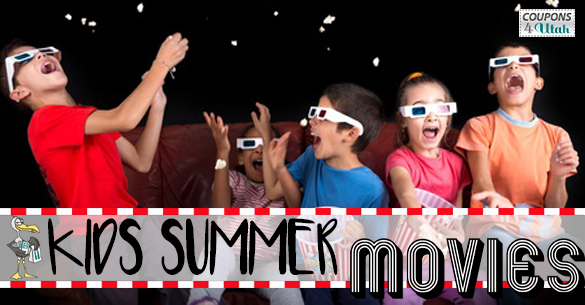 Tumble Weeds - Free children's movies though out the summer season at various locations. The movies are in conjunction with the Utah Film Center. Scera Cinema Series (Orem) - There are two different movie series available featuring 11 family movies. FatCats - All attractions are just $0.99 during the Summer Sunday-Thursday all day and Friday until 5 pm. All Star Bowling & Entertainment - enjoy various activities through the Summer months for just $2.99 from 10 am - 5 pm everyday. Bees Baseball Game - Discounted tickets with no online fees. 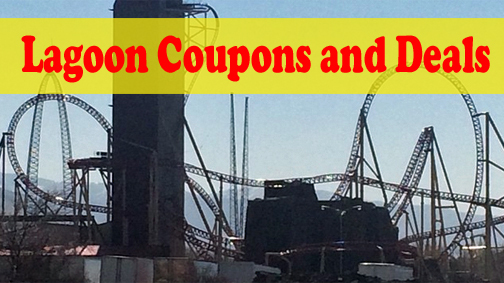 Boondocks - While supplies last grab tons discounted gift cards and more great coupons for Boondocks. Pass of all Passes - Pass holders enjoy free and discounted offers on various activities. FREE* Microsoft Summer Camp - Kids learn various computer skills and programming. Camps begin in June. FREE* Apple Camp - 3 day camp, kids ages 8-12 learn how to shoot their own video footage, create an original song and then put it all together in iMovie on a Mac. Registration typically begins in June. FREE* West Jordan Conservation Garden Park - Various camps throughout the summer. Register early, these fill up. Girls Go Digital Summer Camp - Provides opportunities for girls to learn more about computers, programming, technology and design. Harmon's Cooking Classes - Harmon's Grocery Store has various cooking classes for kids. Prices start for as low as $35.00. Scroll through to find them. Wheeler Farm Summer Camp - Activities include Cow Milking, Gathering Eggs, Farm Chores, Horseback Riding and more. These camps fill up quickly. Reserve early. The Leonardo Summer Camp - Various classes for kids. Loveland Living Planet Aquarium Summer Camp - Camps are full of animal encounters, behind-the-scenes access, and hands-on science learning. Hogle Zoo Summer Camps - The week-long camps include special animal encounters, crafts, and activities. Treehouse Museum - Classes and workshops, focusing on the Visual and Theater Arts, designed to develop your child’s interest in books, stories, and art. Thanksgiving Point Summer Day Camps - Fun-themed camps including LEGO and Robotics camps. These camps fill up very quickly, get your reservation as soon as possible. 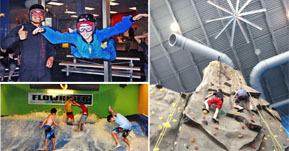 Discovery Gateway - offers Summer Camps in partnership with Clark Planetarium, The Leonardo, and Red Butte. 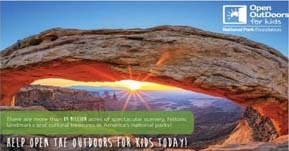 Red Butte Gardens - Various Summer Camps for kids. Register asap, these are already filling up. Activities for kids to do at Home with Things you have around the house! Check out this post for 26 ideas that will help you keep the kids busy at home (or Grandma's) with things you probably have around the house or can get at the Dollar Store on the cheap. Last, make sure to check out calendar of events. There's are tons of free activities that pop up weekly. You can search the calendar or use the tabs at the top and checkout the free category. 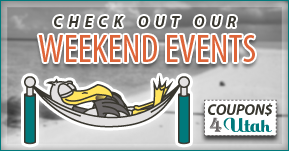 There are tons of free events listed at local Library's and more. We love when you share the information in our posts but please keep in mind our contributors spend a great amount of time researching the information. We ask that you contact us and give credit to the source before posting to another website or newsletter. Thank you.